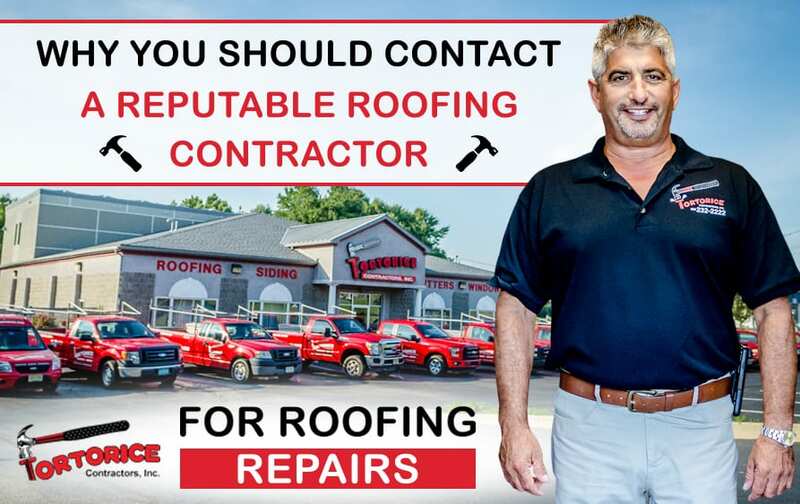 Why You Should Contact a Reputable Glassboro Roofing Contractor for Roofing Repairs - Tortorice Contractors Inc.
A roof is a key part of the house that serves an important function to ensure you and your family are comfortable and safe in your home. Roofs are important to install correctly because ignoring the recommended guidelines associated with roofing can be catastrophic. Glassboro roofing contractor experts advise that every property owner should ensure their roof is properly installed and that the appropriate maintenance procedures are applied. For this reason, you need to always ensure that your roof is in perfect condition and any problems are immediately addressed. When you use a roof for a long period of time without having it repaired or checked on frequently, chances are high it will wear out quickly and fail to protect you. It is usually pretty scary to see your roof full of damages as this exposes you to various risks, some of which can be life-threatening. Fortunately, you don’t have to worry because you can find a reputable roof contractor to come and have a look at your roof. Before recommending any form of repairs, roofing contractors will carefully examine the roof to verify the nature and extent of the damage before making recommendations. Below are some of the key reasons why you need to work with an expert to fix any damages to your roof. Remember, you cannot afford to entrust roof repairs to someone who doesn’t know what they are doing. You shouldn’t pick anyone who claims they are roofing experts to work on your roof because the quality of repairs may not be to the recommended standards. When you have a roof that isn’t in good conditions, there is a high probability the damages will become much worse. Unfortunately, there a number of property owners who realize their roof is damaged but who fail to take the necessary action to fix the issue. Postponing repairs is unwise because not only does the roof become even more damaged, but it will end up costing you more money to fix the damages. Once you realize your roof is not in good conditions it is best to immediately get in touch with a roofing contractor in Glassboro. The role of a contractor is to come and inspect your roof then recommend and do repairs on it in good time before the situation gets worse. It is the duty of every homeowner to ensure their roof maintains the highest quality of safety standards. The best way to ensure you are living in a house whose roof is in a good condition is to regularly examine your roof to see if there are any visible problems. One good way of maintaining high safety standards for your home or business is to ensure periodic inspections are done. Roof damages can either be visible or invisible so it’s important to talk with a professional roof inspector to carry out regular inspections. Doing this is important as any damages are detected quickly and can be dealt with promptly before they escalate. When you get in touch with an expert Glassboro roofing contractor for routine inspections your roof will serve you for a longer period of time. Regardless of the type of roof you have on your house, maintenance is a crucial aspect and one that needs to be done on a regular basis. Roofs which are well maintained are always kept in pristine conditions for a long time which saves you from having to pay high repair costs. The work of a roofing installer is to regularly perform maintenance work to ensure quality standards are kept. Once a roofing installer has successfully completed the process of building a new roof there should be a well-defined routine maintenance schedule. Fortunately, there are several professionals and companies that offer Glassboro roofing contractor maintenance services to clients. When you choose to use a professional to maintain your roof you will for sure enjoy the value of your investment. Roofs are expensive to build and finding a reputable professional to regularly perform maintenance checks will save you a lot of hassle. Many property owners fail to pay attention to issues surrounding roof maintenance. Roofs which continue to be used despite the fact they are in a dilapidated state will end up forcing you to have to replace the whole thing, which can end up being very costly. The good news though is compared to new roofing installations, maintenance is a much cheaper option. Roofs, especially those of commercial enterprises, are often very complex and prone to various problems, some of which might not be visible. For this reason, it is essential to work closely with experts to ensure that any issues are professionally addressed from an expert opinion. When you come across damaged sections of a roof or notice your roof has started experiencing some issues, don’t assume or come up with your own theories to speculate where or what the problem is or could be. You are better off calling for assistance from a qualified roofing contractor in Glassboro to allow for expert assessment and an informed opinion. In addition, they will also recommend the best approach you should use to correct any issues that have been detected on your roof.